Scottsdale, AZ — March 21, 2018 — Digital Air Strike, the leading social media, reputation management, and digital engagement company, today announced it has acquired the privately-held AI chat technology business of Eldercare Technology, Incorporated (d.b.a. Path Chat). Digital Air Strike will integrate Path Chat’s artificial intelligence messaging solution, Response Path, into its digital and social response platform, making it available nationwide and internationally. Path Chat launched in January of 2016 and was initially designed to serve the healthcare market. Today it has hundreds of clients and thousands of users in multiple verticals including healthcare and home services. 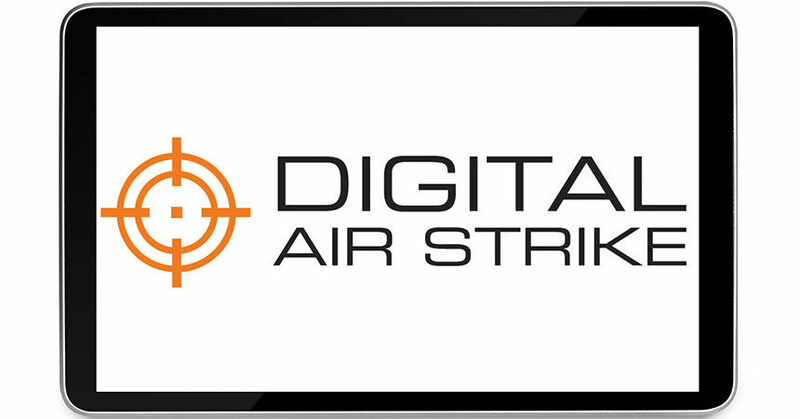 Digital Air Strike’s SAAS and managed suite of solutions include complete social media marketing, reputation management and patented lead response technology. The integration of Response Path creates the automotive industry’s most robust and fully integrated consumer messaging solution, an industry-first to combine artificial intelligence across multiple platforms including social networks with the integration of dynamic multi-vehicle quotes, for which the company holds multiple patents. The solution closes the full consumer communication loop by ingesting all forms of lead data through Response Logix, nurturing prospects in the sales funnel through Smart Quote, Response Path, and Social Logix, and ultimately ensuring greater consumer satisfaction through social recruiting, reputation management, post-sale engagement and survey technology—all while integrating into the dealership’s CRM and DMS solutions. The company, headquartered in Scottsdale, Arizona, with additional office locations in San Jose, California, and Detroit, Michigan, will maintain Path’s presence and team in Santa Barbara, California. The acquisition enhances the suite of services offered by Digital Air Strike while further powering the company’s expansion into key verticals including Healthcare, while adding hundreds of clients nationally and internationally to its existing portfolio of over 3,000 clients. Path Chat is an intelligent messaging platform that helps businesses start more conversations with their prospects and customers across multiple messaging channels including online chat and SMS. The platform pairs real-time responses with AI-driven chatbots to qualify leads, respond to questions, promote offers and route conversations to the appropriate office location or department. Path Chat helps businesses drive new revenue and improve customer satisfaction through messaging.